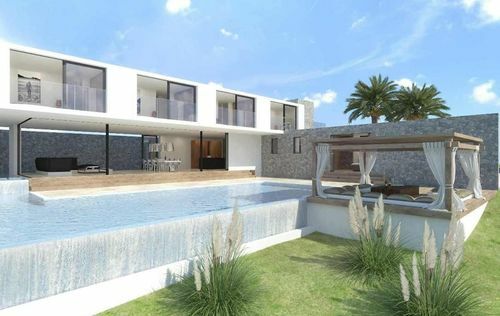 This high-quality luxury villa will be constructed on a superb plot of approx. 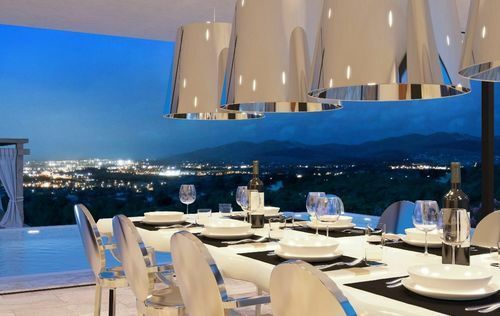 1577m2 close to Ibiza town and enjoys a beautiful panoramic view over the wonderful landscape, the old town and the open sea. 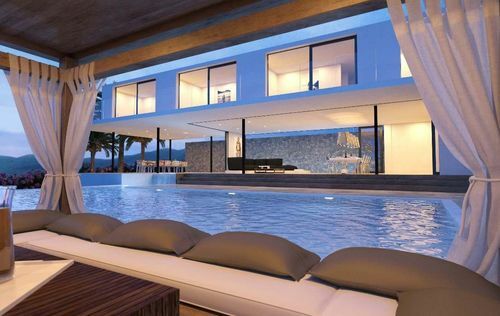 The living space of the villa will be approx. 617m2. Furthermore the residence offers several open and covered terraces of approx. 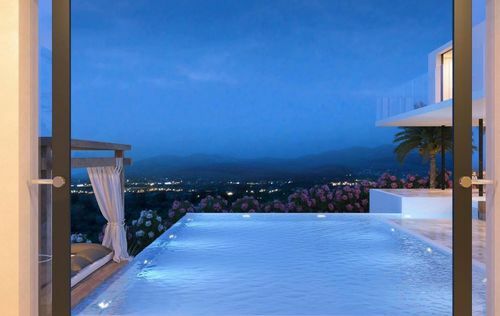 297m2, a fantastic swimming pool of approx. 94m2, a Zen pool of approx. 47m2, superb chill out areas as well as a lovely Mediterranean garden. 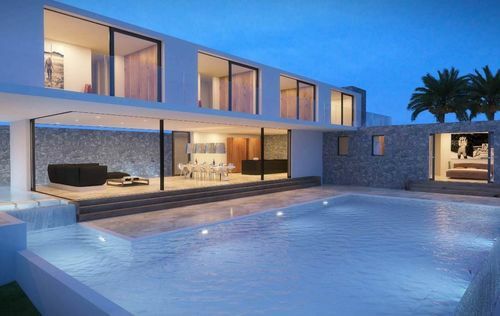 The villa will be built on the highest standards and it will be only used high quality materials. The living area will be divided into a spacious living- and dining room, a fully fitted design kitchen as well as six bedrooms and six bathrooms. 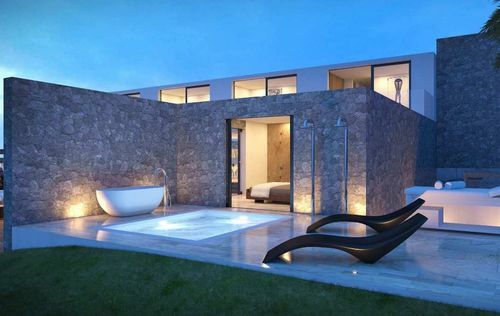 Furthermore the master bedroom will be fitted with an outdoor Jacuzzi and a private pool. The features and fittings of this villa include reversible air condition, outdoor dining area, natural stone walls, open fire place, Bullhaup kitchen, rain shower as well as several parkings. Ibiza Town with its various restaurants, bars and shops is approx. a 10 minutes car ride away.